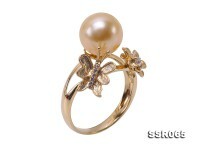 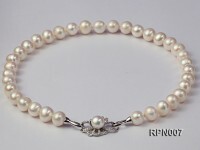 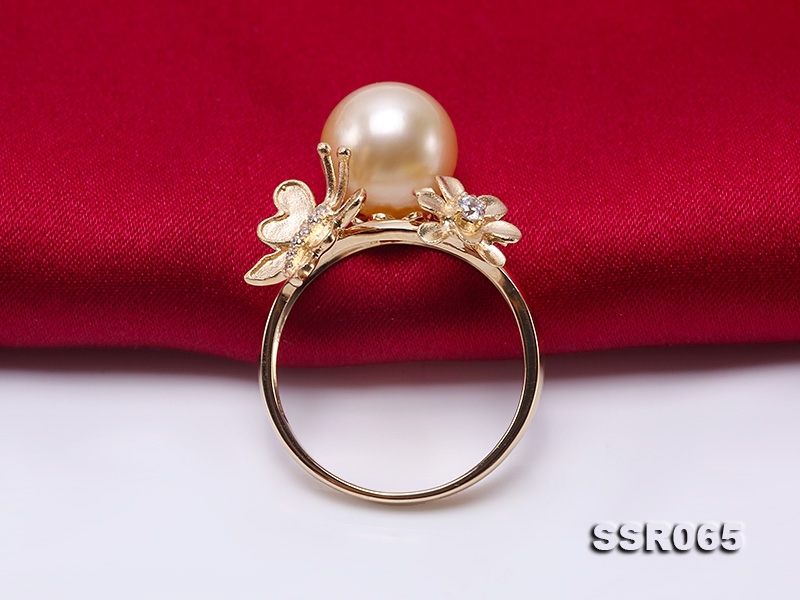 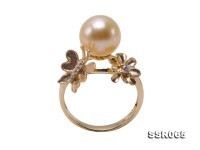 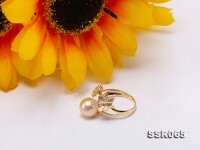 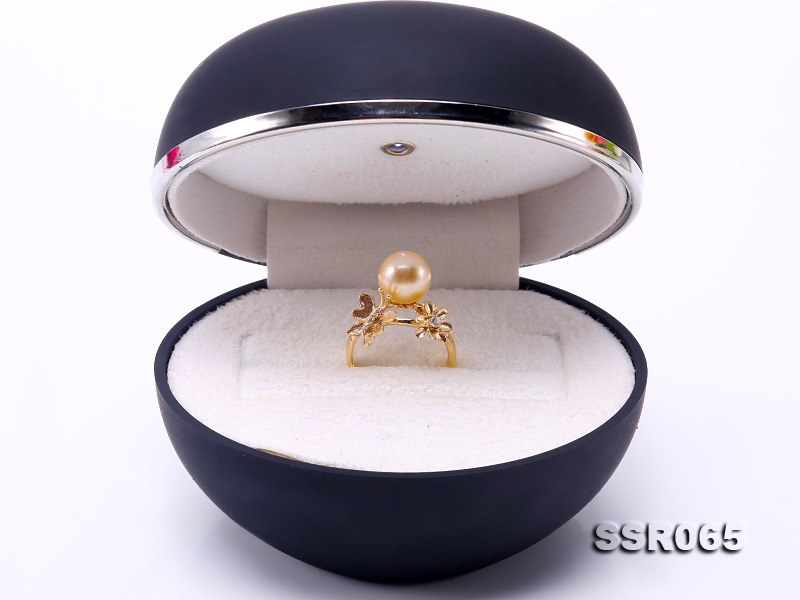 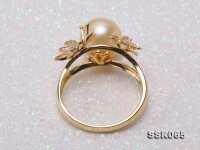 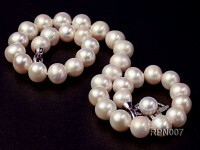 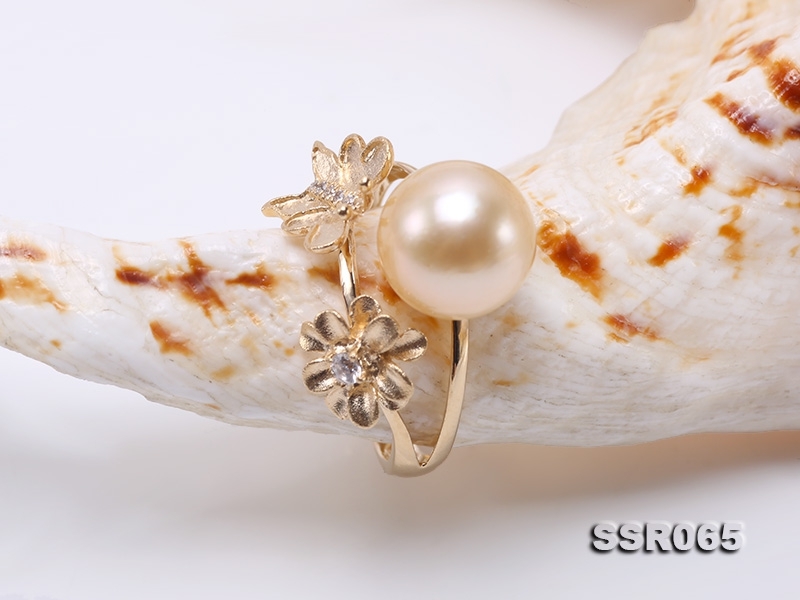 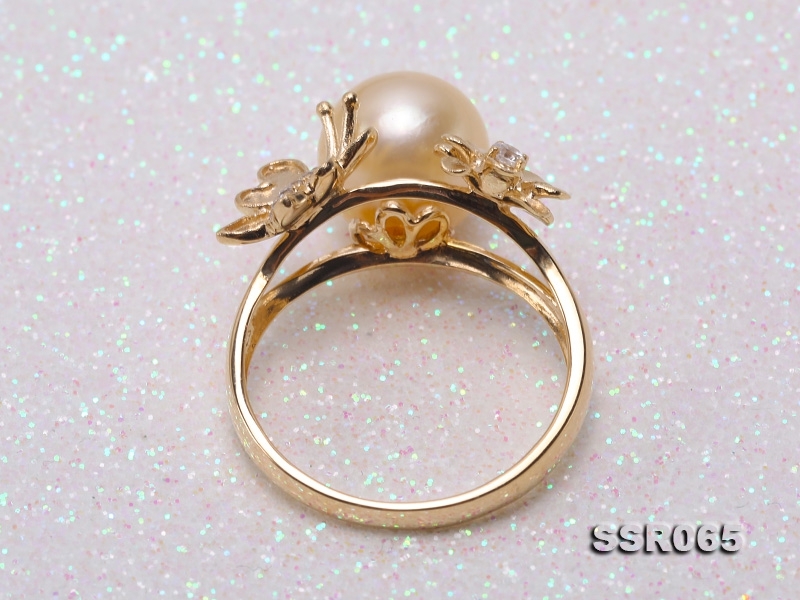 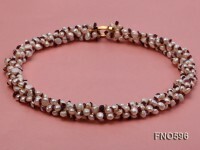 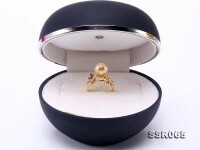 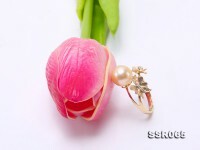 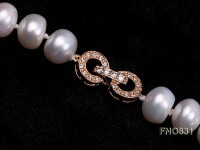 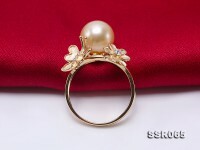 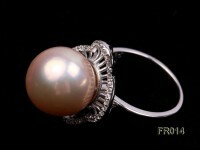 Gorgeous 9.5mm golden South Sea pearl ring for sale. The ring itself is made from 14K yellow gold and dotted with shiny zircons, with vivid flower and butterfly design. 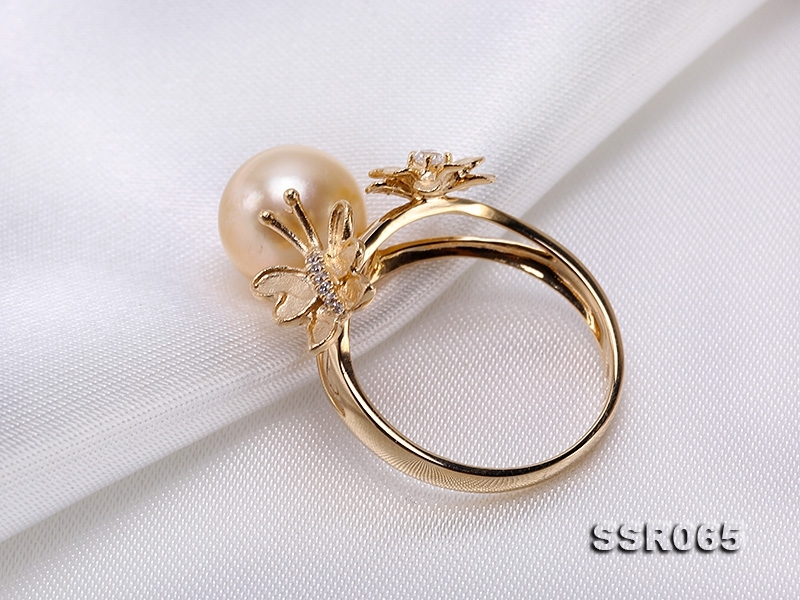 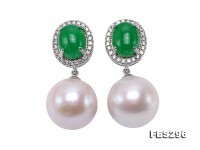 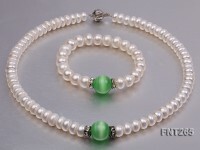 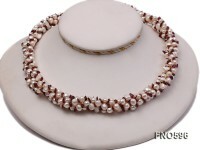 The golden South Sea pearl is carefully selected to ensure prime quality, thick nacre, mirror-like luster and clean surface. 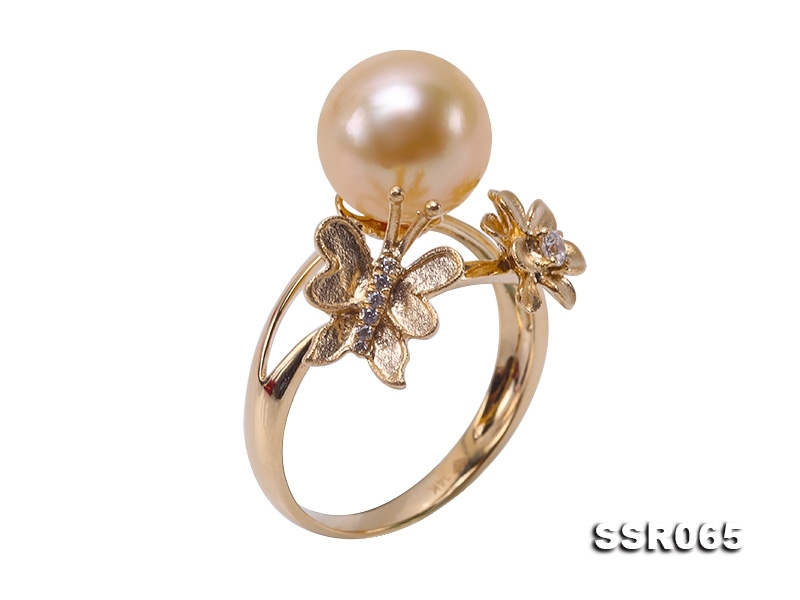 This luxury golden South Sea pearl ring features exquisite design and perfect combination of natural gloss of the South Sea pearl and metallic lustre of 14K gold. It’s indeed one of a kind and worthy of collection.